It’s totally me – Wise the Simple! Definitely not a strikingly beautiful, super clever spy from glorious Jupiter. Hey, here’s a fun idea: how ‘bout you head on down to the comments and just, like, tell me all your secrets? That’s totally something a normal blogger would suggest, right? ‘Cuz that’s what I am, buddies! A normal human blogger who’s obviously not, like, a shape-shifting Jupiter spy or anything. So you take a mo and think of all your secrets. (Take your time, take your time.) And while you do that, I’ll let you know about this super cool podcast I’ve been listening to. Ready? The brainchild of serendipitously-named writing duo Ben Acker and Ben Blacker, the Thrilling Adventure Hour is “a new-time podcast in the style of old-time radio.” Each podcast episode (which run around twenty-ish minutes) is a live recording of one of three segments from the monthly stage show at Largo at the Coronet in Los Angeles. But don’t worry, non-Angelenos, the podcast is it’s own thing. 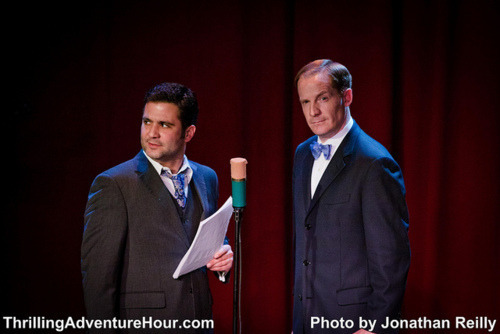 You don’t have to have seen the live show to get the Thrilling Adventure Hour experience; that’s just a bonus. A Midwestern girl myself, I have not seen the stage show. However, I did see some of the cast perform an improv set and subsequent panel at C2E2 last year. (I wish I had known what TAH was back then so I could’ve caught the show. Hopefully this year!) By seeing them do the improv set, as well as listening to the podcast, it’s incredibly clear that the cast (aka “The Workjuice Players”) is full of people who are all ridiculously talented and hilarious. Ah, yes. You see, in the show-within-a-show world, the Thrilling Adventure Hour radio show is sponsored by (the fictitious) Workjuice Coffee and Patriot Brand Cigarettes. Which is pretty amazing. Now, I said there were three segments, so you might be wondering what the show is all about and where one should start listening, if he or she were so inclined. So, here’s what let’s do — I’ll go through the various segments and we’ll go from there. Just as the Lone Ranger had Tonto, Sparks is assisted by a native Martian, Croach the Tracker (Mark Gagliardi). Croach asserts that he has no emotions, and that he only helps Sparks Nevada because he is under onus to the marshal for saving his tribe from a destructive flood. Much of the show’s humor comes from the interplay between these two characters and their love/hate relationship. And the animosity is never higher than when our heroes are joined by the Red Plains Rider (Busy Phillipps), a human raised by Martians and subsequent love interest to both Sparks and Croach. The recurring cast includes Joshua Malina as the barkeep, Annie Savage as the AI of his space saloon (and that of the marshal station), Craig Cackowski as the cowardly Felton, Molly Quinn as Katniss Everdeen-inspired Pemily Stallwark, Shannon Woodward as the widow Johnson, Linda Cardellini as Western Sector novelist Rebecca Rose Rushmore, and Nathan Fillion as the heroic Cactoid Jim. According to Acker and Blacker, the main idea behind this segment is that, unlike other Western heroes, Sparks Nevada doesn’t get to ride off into the sunset at the end of each adventure. He has to deal with the consequences of all that he does. For that reason, it’s not the exciting things that happen (due to science aliens with inside-out rays, shape-shifting Jupiter spies, et cetera), rather, the rich character development that really makes “Sparks Nevada, Marshal on Mars” a thrilling listen. Just as the live show starts with a “Sparks” episode, it generally closes with “Beyond Belief.” This segment features Frank and Sadie Doyle – a high-society married couple who enjoy staying in their apartment drinking, engaging in witty banter, and more drinking. (*Clink! *) The twist herein is that the Doyles are mediums and, much to their dismay, are thus called to aid in supernatural dealings. Though it stars a pair of misanthropic alcoholics, “Beyond Belief” is often referred to as the audience’s favorite segment (somewhat jokingly, but it’s pretty much known to be true.) This success is in no small part due to the charming chemistry between the two leads, Paul F. Tompkins and Paget Brewster. Now, regarding where you should start — if you want a sample of what the Thrilling Adventure Hour is like, an episode of “Beyond Belief” is definitely a safe bet. Unlike “Sparks,” “Beyond Belief” is a collection of largely standalone stories driven by a monster-of-the-week format. That said, there are a few recurring story elements and running jokes that could be missed if not listened sequentially. 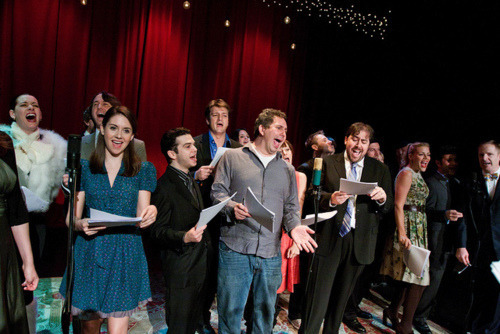 Some of the recurring characters are Sadie’s friend Donna Henderson (Janet Varney), a vampire married to a werewolf; Nightmares the Clown (James Urbaniak), a boogeyman from Frank’s childhood; and Carter Caldwell (John Ennis), “confirmed bachelor” and Sadie’s companion when Frank decides to stay home (read: when PFT can’t make the monthly show). I personally listened to all of TAH in order, but understand that some people might be hesitant to do so as some of the early episodes are arguably a bit shaky. That being said, if you do want to test the waters a bit first, I would suggest podcast episode #15: “Second Star to the Wrong.” This episode is a great example of Beyond Belief’s monster-of-the-week set-up, as well as sets up the Doyles’ love of liquor and indifference to the rest of humanity. Then, if and when you enjoy that, go back to podcast episode #5: “Wishing Hell,” i.e. the episode in which everyone listening falls in love with Sadie Doyle thanks to Paget’s vocal stylings (though some may argue that moment occurs in podcast episode #42: “White Hunter, Drunk Heart”). As a bit of a completist, it makes me cringe to think of people jumping around from episode to episode, potentially missing any backstory. But, that’s just me. As it is, you’re sure to enjoy any episode of “Beyond Belief” due to the witty writing and charming characters. 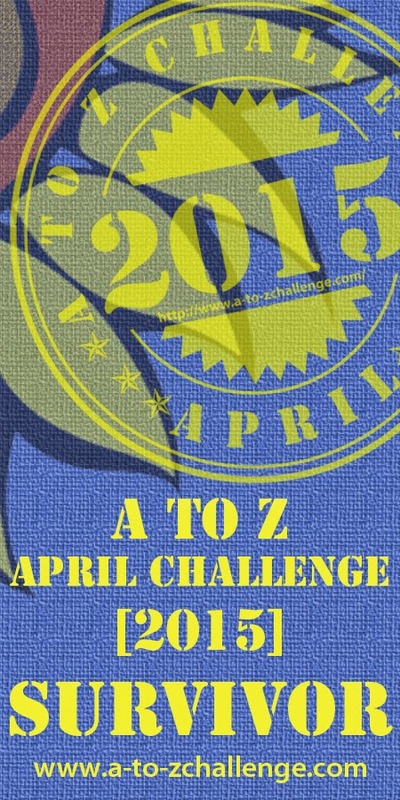 Okay, let’s see here… We’ve got a space western and a supernatural story. So, what could the middle segment be? A tale set during WWII? A piece of quaint Americana? A Tinseltown story? Time-travel? Vigilante superhero? There are also spin-offs such as “Tales of the United Solar System Alliance” (a Star Trek-esque segment featuring James Urbaniak), “Phillip Fathom, Deep Sea Detective” (stars Hal Lublin as an expy of Christopher Nolan-era Batman), and several others. The remaining episodes of the podcast include interviews, panels, the interstitial fake commercials, studio recordings, crossovers with other podcasts, and more. Now, this is actually an interesting time for the Thrilling Adventure Hour. After ten years of doing the monthly show, Ben Acker and Ben Blacker have decided it’s time to evolve. The Thrilling Adventure Hour has undoubtedly been successful in being what has been referred to as “both homage and parody of old-time radio.” What’s more, Acker & Blacker have masterfully played with the form in such podcast episodes as the “Sparks Nevada, Marshal on Mars” musical (episode 70: “The Piano Has Been Thinking”) and the “Down in Moonshine Holler” Shakespeare pastiche (episode 171: “A Hamlet”). So now, the Thrilling Adventure Hour is going where radio shows, by definition, dare not go — into the realm of visual media. 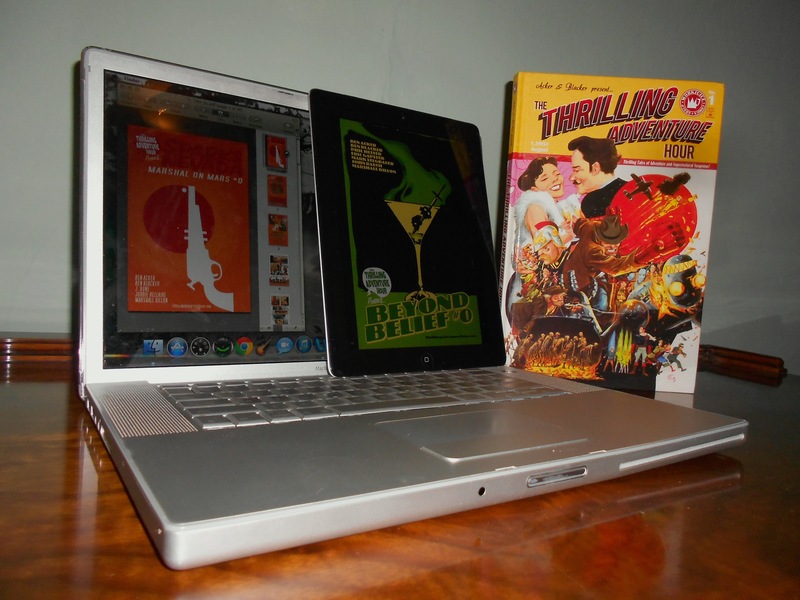 With the successful funding of their 2012 Kickstarter campaign, the Thrilling Adventure Hour came to the world of comics with the TAH graphic novel, to the world wide interwebz with a behind-the-scenes documentary series, and soon to your very home with the forthcoming release of the concert film. What’s more, in February 2015, Image Comics will begin releasing monthly “Sparks Nevada, Marshal on Mars” and “Beyond Belief” comics. Both of these new titles have had digital-only Issue #0 comics released, providing the origin stories for how Sparks met Croach and how Frank met Sadie, respectively. Acker and Blacker are also currently shopping around a “Beyond Belief” television pilot, and are looking to create “Sparks Nevada” webisodes on the Nerdist network. All in all, the transmedia growth of the Thrilling Adventure Hour is a testament to its success. The writing and performances have so enraptured the hearts of its fans, that to not grow outward from the podcast format would be a cruel disservice. And that’s all she wrote. (“She” of course being the human blogger, Wise the Simple, and not a shape-shifting Jupiterian who took her form.) The Thrilling Adventure Hour is fantastic, and you should definitely check it out. You can find episodes at the following links or wherever podcasts are podcast: Podbay, iTunes, SoundCloud, Nerdist (starts with Episode 42). All my buddies, it’s been a blast. Until next time — sayonara, solid citizens! Disclaimer: All images shown belong to Workjuice Corp., Archaia Entertainment, Image Comics, and/or photographers Jonathan Reilly and Liezl Estipona, the use of which have not been specifically authorized by the copyright owner. This blog post is for non-commercial criticism and comment purposes only. I believe that this constitutes a ‘fair use’ of the copyrighted material as provided for in section 107 of the U.S. Copyright Law.